After being revealed earlier this week, the latest Mortal Kombat 11 puts the spotlight on Kitana, as she unleashes her royal Fatality on bug lady D'Vorah. The folks at NetherRealm are starting to round out Mortal Kombat 11's roster. 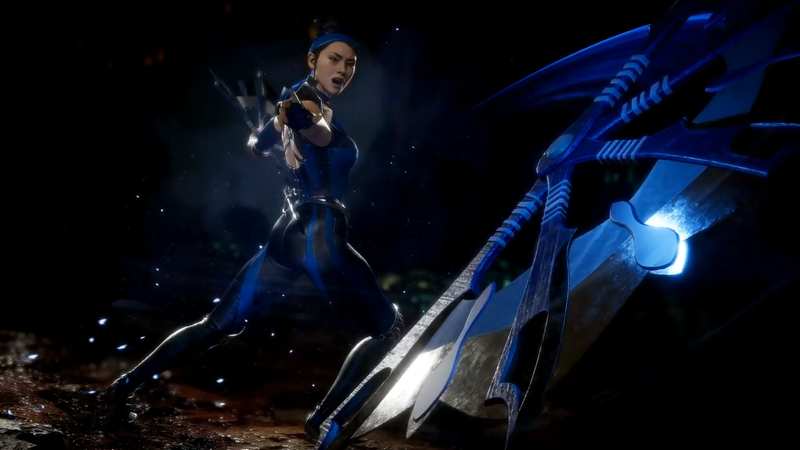 Earlier this week, fans were treated to a first look at the returning Kitana. On Friday, the regular KombatKast took a closer look at the Princess of Edenia and what she could do. The latest trailer spotlighted the fan-wielding princess, who was revealed in a TV ad earlier this week. As one would expect, Kitana retains a lot of her classic moves, which involves her fan throws (both from the ground and from mid-air) and her ability to lift opponents off the ground and suspend them in the air. She also brings along a few new tricks, including a teleport dive kick, a teleport throat slit, a projectile absorber, and some nifty moves lifted from her departed "sister" Mileena. Her first Fatality sees her toss her fans forward, one lopping off the opponent's torso and another chopping off their head. The first fan flies back, which she then throws into the opponent's still-flying cranium. In keeping with the MK11 motif, players can opt to play as the living Princess of Edenia Kitana of the past or as the undead Princess of the Netherrealm Kitana of the present. Despite appearing in defeat, D'Vorah got her first chance to shine in trailer form. Her move set looks similar to what Mortal Kombat X players got to experience, but her new moves are pretty big standouts. One ability sees her swing down from the ceiling and engulf her opponents in hard cocoons, while another sees her molt from her mortal coil and attack as a flying insect. D'Vorah's command grabs and acid spews are still intact, making her as formidable a foe as ever. Mortal Kombat 11 is almost here. The game is set to release on PC, PlayStation 4, Xbox One, and Nintendo Switch on April 23.